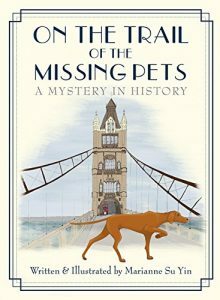 Home » Blog » Blog » On The Trail Of The Missing Pets – an outstanding book! 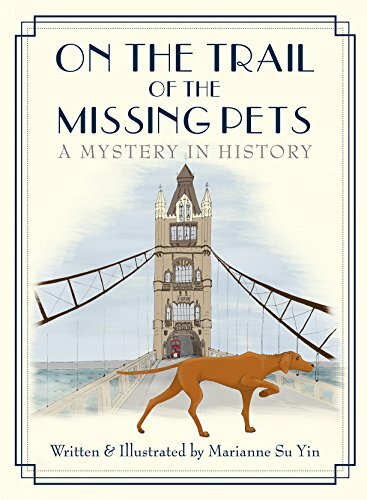 On The Trail Of The Missing Pets – an outstanding book! Every once in a while you come across something very special. Something uniquely wonderful that makes you stop and think. I’ve had a new project in mind for a wee while and recently went for a coffee with my good friend Steve to chat it over. I can’t talk about the actual thing I want to do as I’m right in the very early planning stages (which just means thinking about it really) but it involves crowd-funding, which is raising funds from people who invest in an idea or concept in return for either the love of the idea, rewards, or whatever is agreed to be honest. Crowd-funding has been about for yonks with some very good success stories. Steve said he knew someone who had done it, crowd-funding that is and said he would put me in contact. A few days rolled by and he passed me a number for Marianne Su Yin. Now I’d heard of that name but couldn’t place it immediately – then it registered in my tiny brain. Marianne is very well known locally for producing an illustrated children’s book, so I was intrigued to say the least. 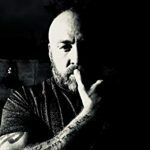 I write horror and sci-fi but I really love children’s books. I used to read to my daughter every night and still do it now with my three year old niece when I babysit. A good children’s book is worth it’s weight in gold, more than gold, more than anything you can ever think of. It can capture imagination and invite a young mind into the world of literature and imagination. It can be the stepping stone that opens the door to the wonderful land of fiction where anything can happen, where there are no boundaries, no rules or divides. I remember the thrill of reading when I was young. I remember being there in the story, being a character in that place and then dreaming of it after the book had finished. I still get that now when I read a stonker – but it started with young literature. They can shape minds the right way. They give positive influence and encourage good values. So I did some research and made contact with Marianne and oh my gosh, what an incredible person! Marianne is an inspiring human being who has produced something of a quality that is outstandingly good. On The Trail Of The Missing Pets. This is one of the best produced works I have ever seen. It follows the story of Violet Vintage and her dog Spike who travel in time from modern day to London during World War Two where they embark on adventures to track down missing pets. The story is written in rhyming verse, which makes it a delight to be read out and with each section illustrated in stunningly gorgeous pictures it entirely completes the sensory delights. Marianne writes the verses and produces the artwork, but more than that, Marianne has developed the whole of the project from scratch to completion on her own. I’ve bought a copy and read it. I have a hardback copy next to me now and the quality is just incredible. The formatting, the way the pictures are embedded within the pages. The shades used, the details within the pictures, the size of the images, the placement….on top of that there are the verses where a full story is told from beginning to end in rhyme, with those verses set beautifully within the pages and pictures. Spike is adorable. Violet is a brilliant character. The backdrop is amazing and the story works wonderfully….BUT…BUT….on top of all that…Marianne has also included facts and information about Britain during World War Two. News & Infomation. Bombing & The Blitz. Rations & Fashions. Wartime Working. Keep Calm & Carry On. Allotments & Anderson Shelters. I’ve researched WW2 extensively for my own works but there are things in here I never knew. Golden nuggets that will set imaginations alight and make children aware of a time that existed and that should never be forgotten. If that wasn’t enough…Marianne not only crowd-funded to get the project completed, but she did it so she could gift books to local schools on the Isle of Wight…and she goes into those schools, in 1940’s clothing to actually read her book to children. On top of being a mum. And a dog owner. Wow. If you have children, if you know children, if you need gift ideas for children – I cannot recommend this enough, you and they will be delighted without doubt. In many ways, this book exceeds the works produced by major publishers. I will be getting another one for my niece (I’m keeping my copy). Hope you enjoy it as much as I did. A quick thank you for some of the best reading I’ve had in years. I’ve enjoyed the undead series twice over and likewise with the extracted books. Be assured on the strength of your current work, you could fart in a jam jar and people would crowd source the hell out of the project. A children’s book would be a great idea and very much look forward to seeing it one day. 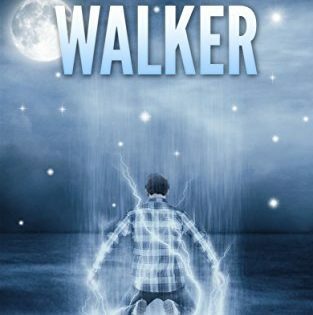 The World Walker by Ian W. Sainsbury – a stunning book.